The security screen, accessible through “User » Security”, gives easy access to user account information. It is most often used to modify a user-account or reset a password. 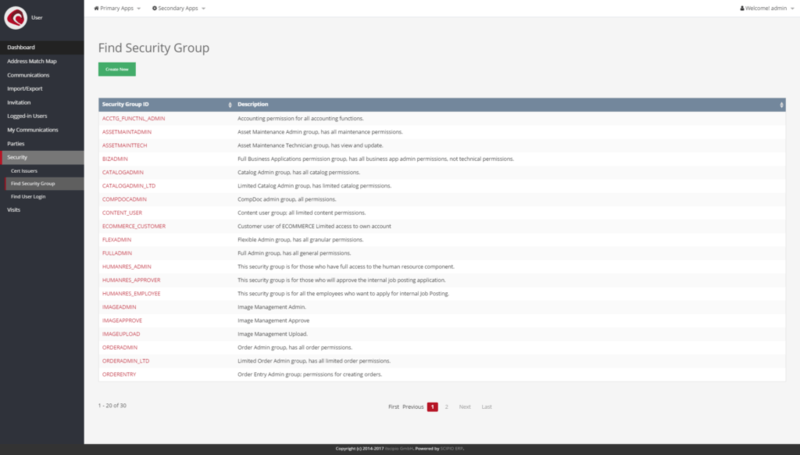 It is possible to modify individual user-accounts as well as user-groups. The screen is shared with the “Admin” component, where it is used for administrators to look-up critical user information quickly.